OTTAWA -- Jagmeet Singh is accusing Prime Minister Justin Trudeau of playing games with his decision to call one byelection while leaving three other ridings vacant -- including the one in which the NDP leader plans to run. Singh, who intends to run for Parliament in Burnaby South, said Monday that Trudeau is showing no respect for some 300,000 voters who've been left without representation in the three ridings. "All these people deserve to have their voices heard and this government is saying their voices don't matter," said Singh. "It certainly was an example of Justin Trudeau playing some petty political games because ... in the past any time there's byelections that could be called, government has called them all together." Singh has struggled to find his groove since winning the NDP leadership a year ago and the party's fundraising and polling numbers have dropped accordingly. 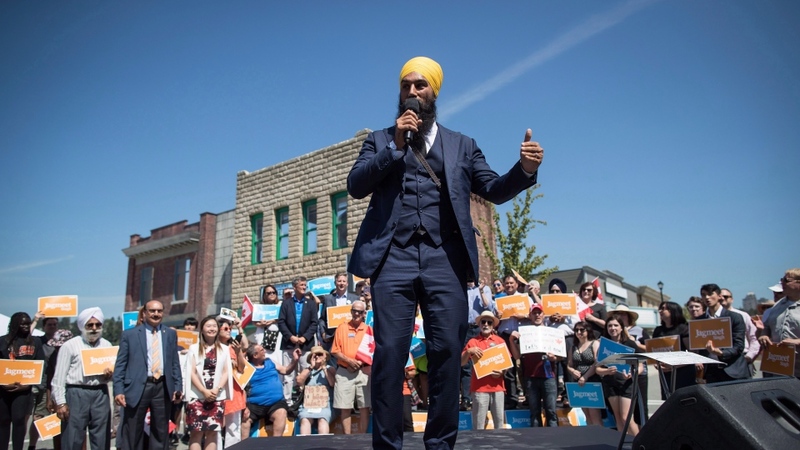 New Democrats hope he can turn that around by winning a seat in the Commons and some suspect Trudeau is delaying the byelection in Burnaby South to deprive Singh of greater visibility. But Liberal insiders scoff at that notion. Instead, they say their concern is that Singh will lose the byelection, prompting the NDP to dump him and choose a potentially more appealing leader before next fall's general election. The prime minister must call a byelection within six months of an MP's leaving a seat. The actual election date can be much later. Singh dodged repeated questions about why Stewart didn't resign earlier and whether he thinks Burnaby South constituents were well served by the New Democrat MP while he was actively campaigning for another job for four months. "The question is why is it the goverment has called one byelection but not the other three," Singh said, adding that Stewart "continued to be vocal" on issues that matter in the riding. "It has been mere weeks since those seats were vacated," Trudeau told the House of Commons on Monday. 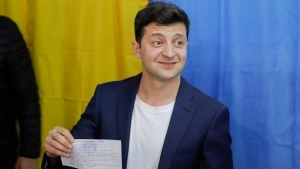 "We will call those elections in due course, as is required under the Elections Act." New Democrat MP Peter Julian dismissed Trudeau's "weak and insipid response" and suggested the real reason for "this petty act" is that "the prime minister is scared of the reaction of the voters." Trudeau retorted that voters in the three ridings aren't getting the full four years of service from the MPs they elected, adding that "the sanctimony from the NDP on this is, as always, amusing." In Trudeau's inner circle, debate has been raging for weeks over whether the Liberals should run a candidate against Singh or stand aside to give him a better shot at victory. The final decision is up to the prime minister but insiders now expect the Liberals will run a candidate because that's what the party grassroots in British Columbia want. Liberals believe they can pick up Outremont, which was a Liberal stronghold before Mulcair snagged it for the NDP in 2007, but they think an upset there will have more impact early in the new year, rather than just before Christmas. Trudeau is likely to group Outremont together with the other vacant ridings for byelections early in the new year. That will include a fourth riding -- British Columbia's Nanaimo-Ladysmith, where New Democrat MP Sheila Malcolmson last week announced her intention to run for an open provincial seat.